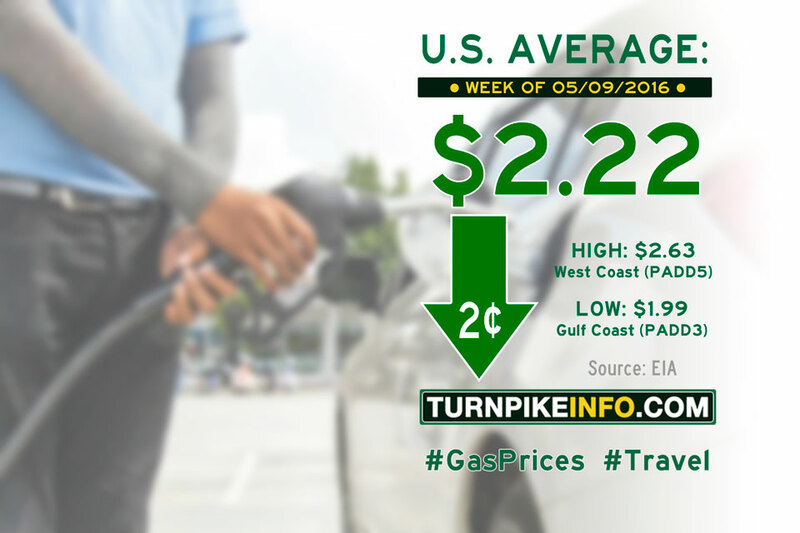 Fort Lauderdale, FL – The price of gas finally relaxed on the week, but prices only declined by two cents according to the national survey released today by the U.S. Energy Information Administration. The E.I.A. report shows shows the price of gas actually held steady or increased for most American drivers, but steep declines across the midwest, known for heavy pricing volatility, helped reign in the national gas price averages for the first time in weeks. The price of diesel went up across all regions, except for the gulf coast, where prices dipped slightly, according to the E.I.A. The national average price for a gallon of diesel, however, edged only a half cent higher to remain at $2.27 per gallon. Prices are rising in advance of the busy summer travel season and on rising crude oil prices, which have continued to creep upward since the latter part of winter. Regional cost averages for both gasoline and diesel are listed below, ranked from highest to lowest price.